Michael Blake heads the European Council of Jewish Communities (ECJC). The ECJC’s goal and purpose is to “bring together European Jewish communities and organisations, non-governmental organisations, federations and networks which are working to guarantee Jewish life in Europe for the next Generations to come.” Headquartered in Paris, the Council stresses it is a non-political organization which wants to “facilitate experiences of collaboration” in different ways. For Michael Blake, who has been the Council’s President for less than a year so far, the wide range of tasks means a whole lot of work. As a former volunteer at several organizations in the United Kingdom, and as the Treasurer for Jewish Care, a position he still holds, he brought a lot of experience to his new office. But that does not mean he can be at five conferences at the same time. Michael and his wife Susan have three sons and seven grandchildren. Imanuel Marcus met him at a conference in Rome, and caught him again later, for this interview. 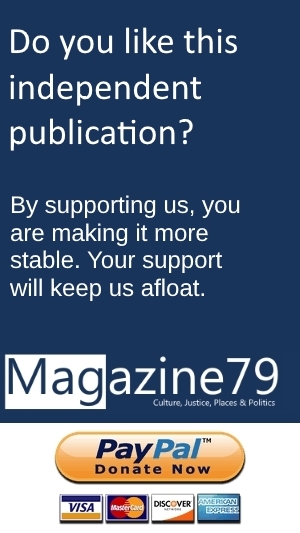 Magazine79: You have been leading the largest Jewish organization in Europe for 11 months now. Dealing with all of the ECJC’s activities is part of the job, while sitting in a million meetings and joining conferences all over Europe. This sounds like a lot. How do you manage? 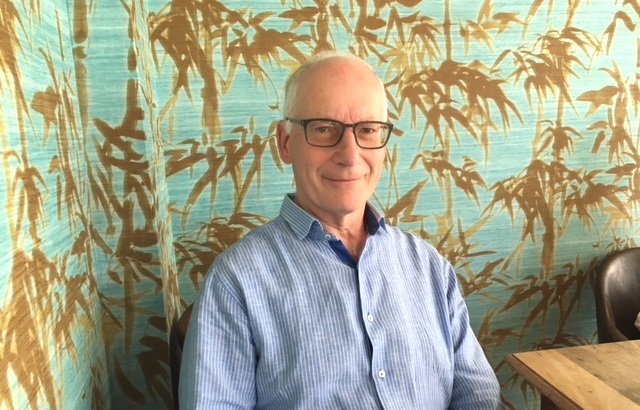 Michael Blake: Firstly, I retired from running a business around five years ago and decided that I wanted to “put something back” into the Jewish Community so I decided to devote most of my time to communal work. In the past few months I have traveled to Germany, three times, and Sweden. I anticipate that over the coming months I will be travelling more as I want to develop our relationships throughout Europe. I am fortunate to have Mariano as the Executive director as he takes on much of the travelling. Yes, I do have many meetings to attend but I very much believe on being “hands on” so the only way to really know and understand our communities is to be fully engaged with them. Magazine79: Jewish Care is another rather big organization you are part of. Here you care for thousands of elderly Jews in Britain. For this endeavor, hundreds of volunteers are needed. How do you make this work every single day? Michael Blake: Jewish Care is an amazing organization. We have 10 Care Homes caring for over 600 people who live in these resources, we operate four Community Centres, three Dementia Activity Groups, a day center for Holocaust Survivors, support and social groups and many more activities. We are the largest health and social care charity serving the U.K. Jewish Community in London and the South-East. Every single week we touch the lives of at least 10,000 people through our vital services. We have a fantastic dedicated staff of 1,300 people and 3,000 volunteers. Each volunteer has to go through our training process and has to be vetted before they can volunteer. We have a whole department that looks after our volunteers. Magazine79: Let’s just look at some of the many activities the ECJC. You recently had a conference in Stockholm which covered a very interesting subject: “The Arithmetic of Interfaith Marriages”. Do those lead to issues in communities? Do non-Jews married to Jews usually develop interest in community life and Judaism in general? Michael Blake: This was our first attempt to try and openly discuss the issues facing many of our communities. In some communities the inter-marriage rate is as high as 60%. The question is: Do we abandon the Jewish member of this partnership or do we encourage them to join in the Jewish community activities and bring the non-Jewish partner along? Do we accept the children of “mixed marriage” into our Jewish Schools and activities? Most people don’t want to discuss the issue and in many communities it is a “taboo topic”. I consider myself to be “Orthodox light” and before this conference would probably support the more Orthodox approach which simply does not address this issue. However, following the conference my views have changed and I want to encourage communities to support those families who have been excluded from the community and embrace them. Michael Blake changed his mind about mixed marriages. Magazine79: Jewish education is usually one of the central aspects communities all over Europe are working on. Especially in Eastern Europe, the Joint and the Lauder Foundation have helped a lot too. How does Jewish education in Britain differ from what they do in Eastern Europe? What is “Arachim” about? Michael Blake: Jewish Education is one of the “hot topics” for world Jewry at the moment. Here, in the U.K., we are very fortunate in having so many Jewish Schools. The U.K. Jewish Community is predominantly based in London and we would appear to be catering for the increasing demand by opening new Jewish schools. Other major Jewish centers such as Manchester also provide Jewish school education. Beyond the schools we have various organizations and synagogue bodies that provide all forms of Jewish education and the choice could keep you occupied every day of the week. It is really remarkable what the Lauder Foundation and the Joint are achieving in the field of education and we do work with them on a number of projects. “Arachim” is a programme that we have developed for teachers and principals of schools and we attract a good following from our members who want to learn more and exchange teaching methods with piers from other countries. Magazine79: Britain was not invaded by the Nazis during World War II. Many Jews from mainland Europe fled to the U.K.. Hundreds of Holocaust survivors are still alive today, in 2018, and the ECJC helps them. What are encounters like? Do they tell their stories? Michael Blake: Fortunately Britain was not invaded during World War II. And yes, we had, and still have, a large community of survivors. I think we estimate around 600 still alive and active in our communities. We, in Britain are fortunate to have a number of organizations which help support the survivor community many of whom are now in their late 80s. For example Jewish Care runs a day center exclusively for survivors where activities are carried out four days a week. This is a place where the vulnerable survivors feel “safe” and enjoy being with fellow survivors. We also offer assistance in preparing applications to the Claims Conference. Another organization is the Association of Jewish Refugees and they do a great deal of outreach work visiting those survivors in small communities.I think that one of the reasons that many of the survivors live to a good old age is the fact that many of them go out to schools, universities, social clubs, and business corporations to speak about experiences in the Holocaust. This is very much facilitated by the Holocaust Educational Trust in conjunction with the Holocaust Survivors Centre (HSC) and Association of Jewish Refugees (AJR). In May, the ECJC is holding a conference in London to discuss how our communities are supporting the remaining survivors and the changing needs which come as they are more fragile. Speakers will be from the HSC, the AJR and representatives from France and Germany. Magazine79: Antisemitism keeps on spreading again, at campuses in the U.S., in France, Germany, Bulgaria, Poland and all over the place. It comes in different liveries. In what form does antisemitism appear in Britain? And how does the ECJC react? Michael Blake: Clearly we live in very worrying times as antisemitism appears to be on the rise throughout Europe and it manifests itself in different ways. Because the ECJC is a non-political organization, we do have a problem in dealing with this issue. On the other hand we cannot ignore it because it is so much part of our DNA. Here in Britain, for example, the leader of our main opposition party, Jeremy Corbyn, clearly has a problem with Jews and many of his supporters share this view. Recently, a rally was being held in London to demonstrate against Corbyn and the press are giving a lot of coverage to this. At the moment all Corbyn will say is “sincerely sorry for the pain caused by pockets of antisemitism in the labour party”. If only it was “pockets” only! We are discussing this with our board how we can help, and will keep this issue very much under review. Magazine79: What is the next conference you will join? Michael Blake: The next Conference will be our Social Welfare track for those supporting Holocaust Survivors and this will be held in London. The ECJC’s web presence can be accessed here.